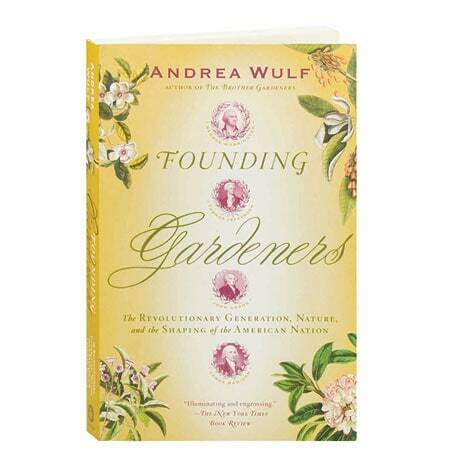 For the Founding Fathers, gardening, agriculture, and botany were elemental passions as deeply ingrained in their characters as the battle for liberty and a belief in the greatness of their new nation. Exploring that obsession, the author of The Invention of Nature tells the story of the revolutionary generation from the unique perspective of their lives as gardeners, plant hobbyists, and farmers. In her fresh, nuanced portrait of the men who created our nation, Andrea Wulf relates how George Washington wrote letters to his estate manager even as British warships gathered off Staten Island; how a tour of English gardens renewed Thomas Jefferson's and John Adams's faith in their fledgling nation; and why James Madison is the forgotten father of environmentalism.